On Saturday, April 6, New York Film Academy (NYFA) Photography Instructor Joan Pamboukes gave a lecture at the Artexpo New York. The Artexpo was held from April 4 – 7 at Pier 90 on Manhattan’s West Side. Each year thousands of art industry insiders flock to Artexpo New York in search of art and artists that can influence trends in galleries worldwide. Pamboukes is an award-winning artist based in Astoria, Queens. 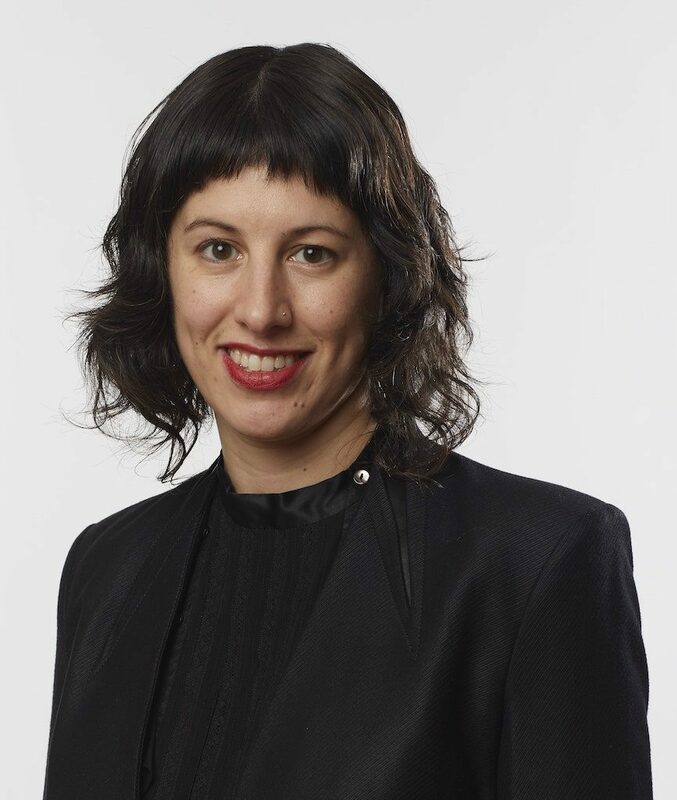 Her artwork has been exhibited at venues including The Montclair Art Museum, Chashama UpTown, The Dumbo Arts Festival, and The Arts Council of Princeton. Honors for her work include the 2014 Sky Award, the 1999 Art and Literacy Award, and the 1999 Albert Munsell Media & Performing Arts Award. Pamboukes’s lecture was entitled Media Transections & Contemporary Photography Influences, and discussed her work, which explores projects that transect human interactivity with screens—including smartphones, television, and video games—as well as how the human experience is currently shaped by the dominance of advanced technology in modern society. On display was Pamboukes’s portfolios, featuring “images that flash before us, mingling with personal memories and emotions, and influencing our state of mind.” Visual artists, collectors, gallery owners, art dealers, and anyone else interested in statement art and fine art photography were invited to attend the presentation, held at the Education Pavilion. Pamboukes was introduced by New York Film Academy Chair of Photography David Mager. Later this year, Pamboukes will have work on display at the Open World: Video Games and Contemporary art exhibition, curated by Theresa Bembnister at the Akron Art Museum, exhibiting from October 2019 – February 2020. The show is expected to travel as well. With his debut novel published last October and development underway for his animated pilot, New York Film Academy (NYFA) screenwriting instructor Matt Harry is making waves in the industry. A multi-hyphenate, Matt’s not only a writer—he’s an editor, director, and producer. 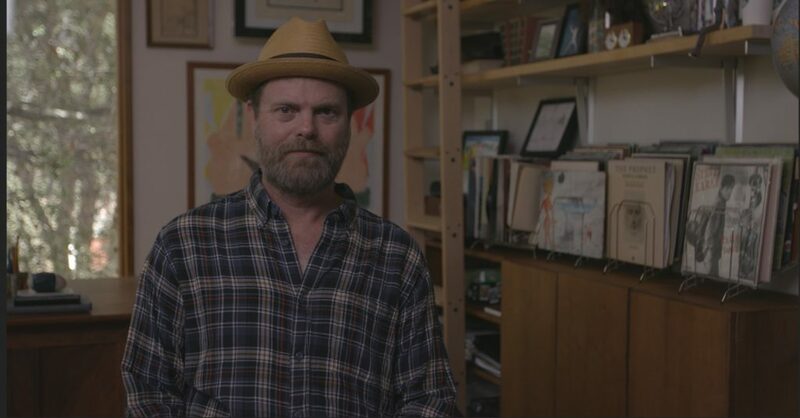 Matt took some time to chat about his career, teaching, and the time he made a fool of himself in front of Tom Hanks. NYFA: Where are you from originally? MH: I was born in West Virginia, but my parents moved around a lot. We ended up in Cleveland when I was in sixth grade. NYFA: Growing up, what did you want to be? MH: I wrote a novel in seventh grade, so I wanted to be an author from a young age. Later I became interested in theatre, then filmmaking, but eventually I went back to writing. New York Film Academy (NYFA): What’s your professional background? Matt Harry (MH): After I graduated, I spent 12 years working as an editor on shows like The Bachelor while continuing to write. I’ve written screenplays for various production companies and my feature film Fugue, which I wrote and produced, was named Best Horror Film at the Mississippi International Film Festival. My short Super Kids, which I wrote and co-directed, has over 3.7 million views on YouTube and is being developed into a feature by Temple Hill and Fox 2000. NYFA: What brought you to NYFA? MH: A chance encounter with my former USC classmate Eric Conner at a coffee shop led to me to NYFA. NYFA: What are you working on right now? 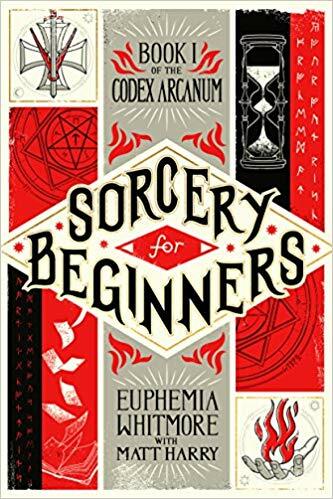 MH: My novel Sorcery for Beginners was released last October, so I’ve been busy promoting that. I’m also developing a TV adaptation of Sorcery as well as an animated pilot I wrote called Monster Cops. I also have a couple new book projects I’m finishing! NYFA: What was the most satisfying project you’ve created or worked on in your career so far? MH: My short film Super Kids was the first project I worked on where the finished product looked almost exactly like what I imagined it could be. NYFA: What is your favorite course to teach? MH: The thesis screenwriting workshops. NYFA: What is one piece of advice that you would give incoming or current students? MH: Keep working. I’ve met very few artistic geniuses, but my own career is a testament to the fact that if you keep pushing, working and revising, you’ll improve. NYFA: What is your favorite aspect of teaching? MH: Frequently I’ll be discussing a student’s project, and I’ll have a realization about not only their work, but mine as well. Thanks to the students, I’m constantly learning and improving. NYFA: What is most challenging about teaching for you? MH: Finding enough time. I could talk about story development all day, but with less than three hours per class, we have to set timers to get to everyone! NYFA: What is the most helpful advice you’ve received? MH: “Stick with it. Even if you don’t make it, eventually everyone you know will make it, and you make it by proxy.” I have absolutely found this to be true. NYFA: Who has influenced you the most in life? MH: My wife Juliane. Her work ethic, morality, and positive attitude inspire me to be a better person. NYFA: What creators have influenced you the most? MH: Ray Bradbury, Kurt Vonnegut, George Orwell, David Lynch, Edgar Wright, Colin Meloy, Madeline L’Engle, Stanley Kubrick, Philip Pullman, and Wes Anderson. NYFA: What do you do to take a break from work and teaching? MH: Video games, going to restaurants, and hanging out with my family. NYFA: What is an interesting fact about yourself your students and fellow faculty might not know about you? MH: I interviewed Tom Hanks for the Cleveland Plain Dealer when I was 15 years old. I had no idea what I was doing, but he was incredibly gracious. 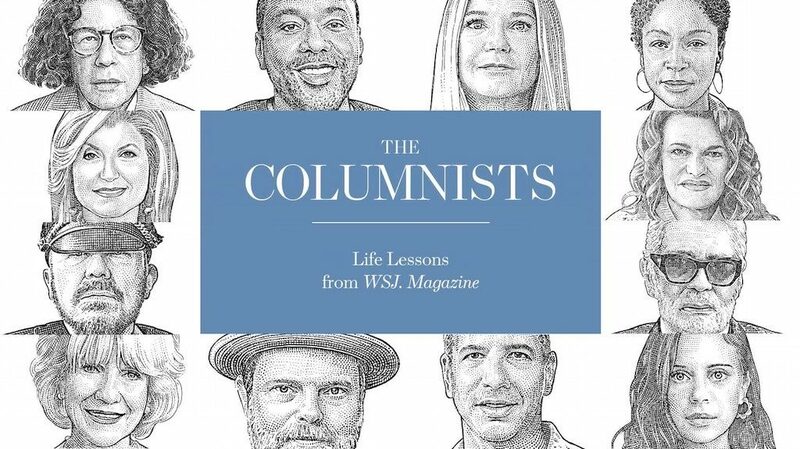 I remember shouting out some inane question about Madonna, but he treated me like every other adult journalist there. Justin LaReau had a pretty cool job. He was the head basketball coach at Southeastern Illinois College. But he was temporarily living in a hotel, reevaluating his life. And reconnecting with his love for movies. So while he was working on his playbook, he was simultaneously reading screenwriting books and began sketching out the idea of what would become his first feature. Eventually, he made the difficult decision to leave coaching behind. Justin came out to Los Angeles and got an internship at Underground Film and Management—which led to his career writing, directing and producing films. New York Film Academy (NYFA) spoke with LaReau about his movies, experiences, and his next projects. 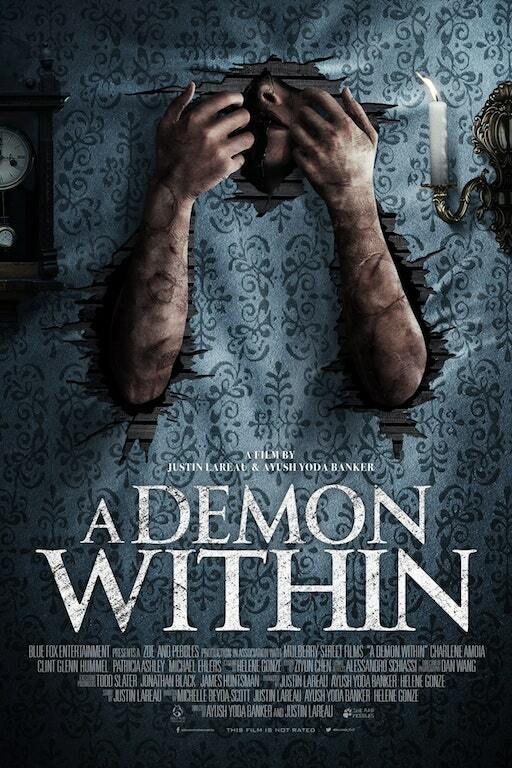 New York Film Academy (NYFA): Recently you produced and directed A Demon Within, a horror film. How did that come about? What was it like directing a feature film for the first time? What were the biggest challenges– and what was the learning curve like? Justin LaReau (JL): I started writing it when I was coaching basketball, but it really initiated as a kid when my friends and I would ride by a haunted house that was widely talked about in our community. The house had been abandoned. We stopped our bikes and I saw some movement in the upstairs window. It could have been wind moving the curtains but as a 12 year old, we assumed it was a ghost. My hometown has a documented case of possession that dates back to the 1800s. Knowing that story, I wanted to tap into the personal connections I had as a kid. I felt like it would be a fun experience, plus I believed as a first feature I could get a horror film at a 100K budget fully distributed. And in terms of the learning curve, it was tremendous. Whether you are directing or producing, there is nothing like making a full feature. I heard Jon Favreau speak and he said whatever you do or however you have to get it done, make a full feature. Short films are great for trying to find your voice, style and developing the skills, but telling a narrative for 90 minutes or more is like no other. I tell people that I spent summers in 100 degree heat building bridges and overpasses while I was in undergrad. That’s hard work. But making a full-length movie is much harder. And unless you have, you can’t comprehend it nor can you learn as much as doing. 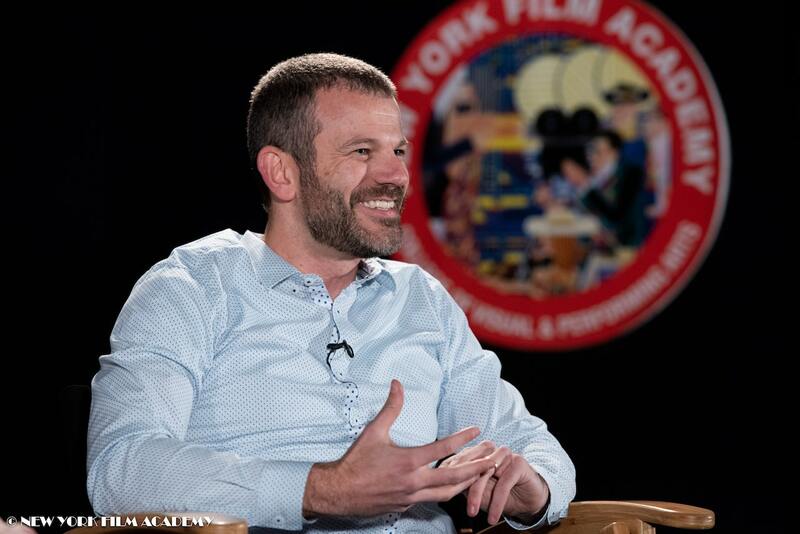 NYFA: How did your experiences as a producer inform the decisions you made as a director? JL: Because we were operating on a microbudget and I was constantly tracking the spending as a line producer would. It made me eliminate waste and only spend on items that would be seen on screen. We secured free locations, free lodging, free cars/trucks for transportation, discounted food as well as many other resources. Because of that, it allowed an extra shooting day which is so vital. Time as we know is so precious in general and in filming, an extra hour goes a long way in allowing actors the opportunity to act, take direction, and deliver the performance that works for the film. Additionally, the script had to evolve. The team and I were rewriting throughout prep to pull off a full feature. Many elements that would have created more value had to be removed because there just wasn’t enough money. And that is a tough pill to swallow. NYFA: Can you talk about your upcoming projects? What are you working on right now? JL: My producing partner Lydia Cedrone and I recently launched a production company called Tidal Wave Entertainment, LLC. As producers we currently have a slate of eight movies in development. They range from comedies to dramas to thrillers. I’m the writer and attached to direct two of the films: Fallen Lands, a post-apocalyptic drama and The Riddle Maker, a thriller. NYFA: You earned your MFA from NYFA in Producing. What’s it like to be a former student on the other side of the classroom—and how does that inform your teaching? JL: I had been teaching for 10 years and had already completed a graduate program. I went from standing in front of the room to sitting in the seat again. What I enjoyed about NYFA besides the hands-on experience and the location was the wealth of experiences instructors brought to the classroom. And that is what I try to draw on now. I have been where the students are and I have been through the same program. This allows me to truly connect with them. NYFA: What’s your favorite class to teach and why? JL: My favorite class to teach is Pitching. It is a skill/craft that all producers, writers, or directors need to develop. My mom would probably say that I like pitching because I am full of it, but selling an idea starts with the way you present it. We may have the next Oscar-winning idea, but if you can’t excite someone about it, it probably will never get made. NYFA: Speaking of, what advice do you have for students who might be looking to produce and direct? JL: I am a believer that if you want to do something, then go do it. But students should know that your drive and commitment has to be greater than you can imagine. You have to be able to grind through the times when things get tough. This is not an easy industry. But you need to be like Paul Newman in Cool Hand Luke. You don’t have time to feel sorry for yourself. So get your hands dirty and get to work! 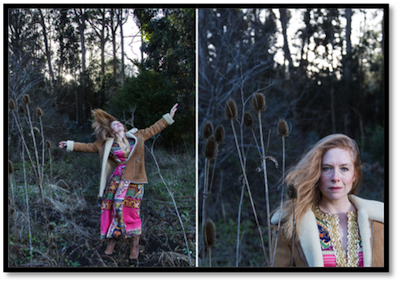 Amanda Rowan grew up around rock stars. Rowan, a New York Film Academy (NYFA) photography instructor, is the daughter of Grammy-winning bluegrass musician Peter Rowan. But unlike many of her contemporaries—offspring of famous musicians—she discovered her instrument was a camera, not a guitar or piano. She began shooting rock concerts in high school and went on to shoot portraits for corporate clients, international artists, and pop celebrities. Rowan recently took some time to discuss her career, her upcoming projects, and playing Paris Hilton’s best friend in a National Lampoon movie. New York Film Academy (NYFA): As someone who grew up around music and musicians, why were you drawn to photography? Amanda Rowan (AR): At first I was drawn to photography as a way to document the music and performances that I was inspired by. But I realize now that when I was shooting bands and live music the camera was my “instrument.” I felt like I was part of the band and adding to the music. NYFA: How would you characterize your work? AR: I am drawn to elements of life that are visually theatrical. I seek to create images that feel like a movie or a dream. I like the heightened art direction with dramatic color and juxtaposition. 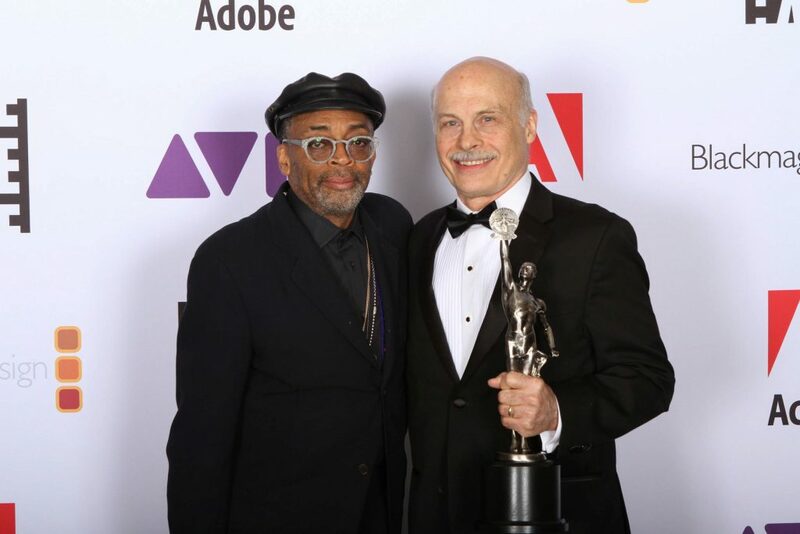 NYFA: Speaking of musicians, you did a project—Born Backstage—shooting musician and performer offspring of artists like The Beatles, the Grateful Dead, and Frank Zappa. How did this project come about? AR: In my 20s I was living in New York City and had a lot of musician friends. I was shooting a lot of bands and actors. I was looking for a project to focus my portraiture towards a single subject and build a photographic series. One night I was at a party and I was sitting with Chris Stills (his father Steven Stills was in Crosby, Stills & Nash) and we were talking to Jenni Muldaur (her mother Maria Muldaur was on the cover of Rolling Stone for her 1970s hit song “Midnight at the Oasis”) and Harper Simon (his father is Paul Simon). We were talking about art, music, and our shared sense of gratitude and angst about having musicians as parents. I thought that there was a unique bond between us and that it could be a compelling photo series. NYFA: You were an actor in your 20s. What were some of your highlights? AR: One of the highlights was playing Paris Hilton’s BFF in National Lampoon’s Pledge This! We lived in Miami for six weeks at the Shore Club. We would stay out all night and then film all day—I don’t remember sleeping much! But even then I always had my camera on set and was known by the cast and crew as the actress who was always taking everyone’s portrait. Paris was very sweet and liked to pose for me. Our on-screen friendship developed into a real friendship. When I moved to LA to pursue photography, she gave me my first job taking photos of her. I also played opposite Dave Chappelle on a Chappelle’s Show sketch. He was The Wolfman and I was his girlfriend. It was shot in black and white like an old 50s horror movie. I was cracking up the whole time. NYFA: Tell us about your latest project. 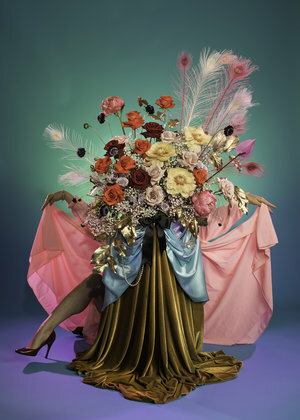 AR: My new project, Arrangement, is a series of still-life images as well as self-portraits, taken in the studio. The images are of flowers and fruits and other organic matter pared with personal objects like jewelry and feathers. 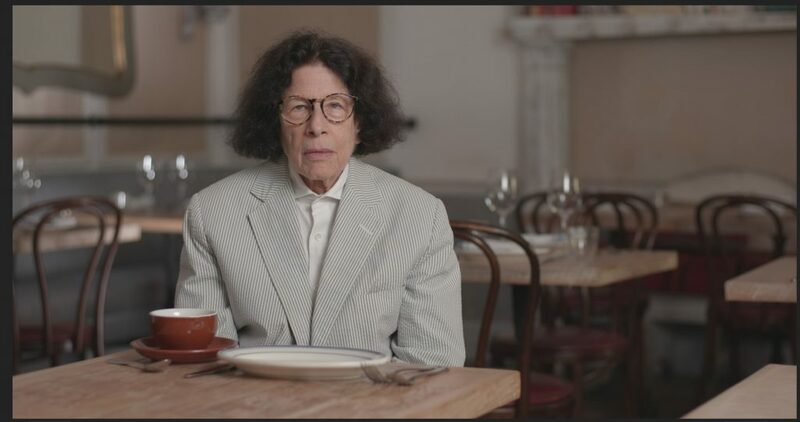 The objects and items in the images are all symbolic to me and represent the “performative” quality of acts of domestic curation, like setting a table for dinner. The images tell a story of seduction, vulnerability, and power. The series will debut at the Carrie Able Gallery in Brooklyn this August. The show is produced in conjunction with the leading photography and art publication, Float Magazine. NYFA: What is your favorite thing about teaching at NYFA? AR: Teaching is the best plot twist of my career/life! I truly love it! I feel like I have a chance to teach all the little secret things I wish someone had told me when I was coming up! Mostly I just want to support young artists and give them the tools and the confidence to be creative and bring forth the amazing ideas inside their brains! It makes me happy when they are able to express themselves. NYFA: What’s your favorite class to teach at NYFA? AR: I love teaching the business classes. I think the business side of art can be challenging for artists. But I have found with the right tools and education you actually gain confidence in your art by feeling equipped with the business side of things! NYFA: Is there a piece of advice you give your students before graduation? AR: Do everything you can to stay confident and nurture your creativity and self-confidence. A creative career is not linear so enjoy the wild ride and be open to the twists, turns, ups, and downs! 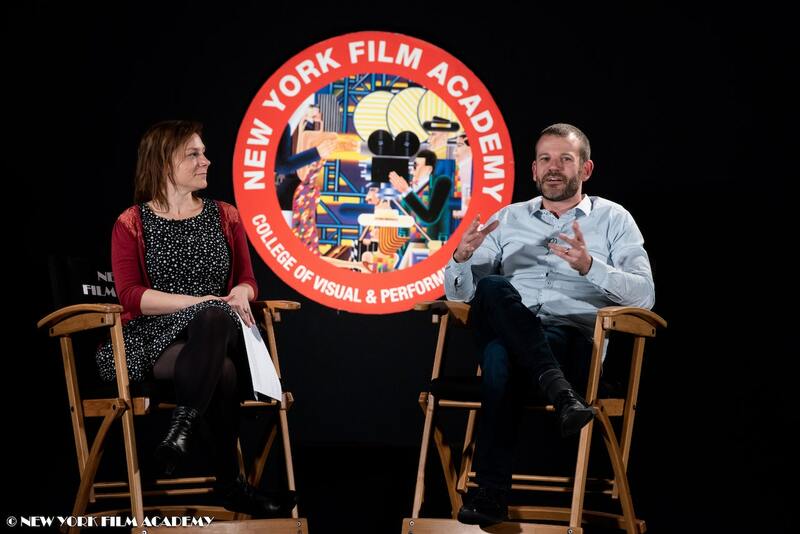 On March 18, New York Film Academy (NYFA) welcomed Bob Eisenhardt, NYFA instructor and editor of this year’s Academy Award-winning Best Documentary Feature, Free Solo for a screening and Q&A session. Following the screening of the Oscar-winning documentary film, Eisenhardt was greeted with no shortage of questions from an eager NYFA student audience. He delved into a discussion on the unusual film editing process behind a film as unpredictable as Free Solo, having had to explore the possibility of cutting a film that would end in tragedy from a failed climb attempt or no attempt at all. 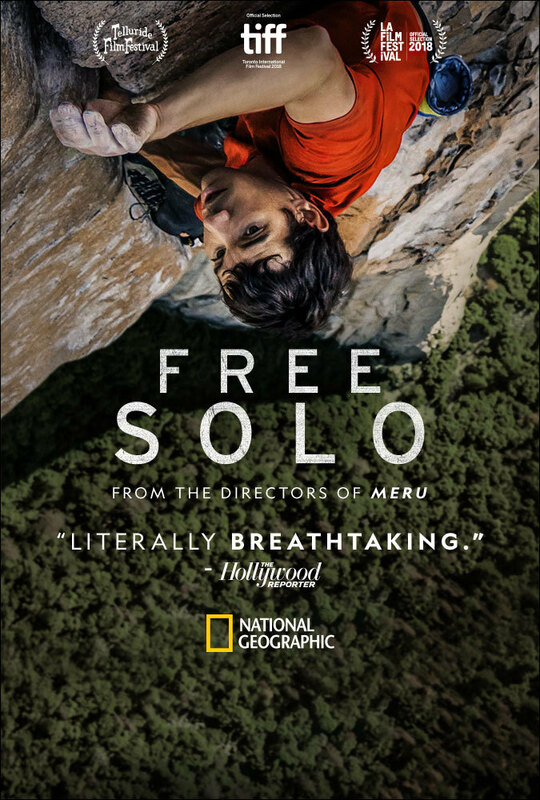 Free Solo endeavors to capture the free soloist climber Alex Honnold as he prepares to achieve his lifelong dream of climbing the 3,000-foot mountain El Capitan in Yosemite National Park. Eisenhardt shared that he and his team of only two were left with over 700 hours of footage to sift through from the shoot. From shuffling scenes to creating sequences that would keep audiences enthralled even when they weren’t watching in awe as Alex scaled a mountain without ropes, Eisenhardt sought to create a film that left viewers genuinely rooting for Alex’s survival. 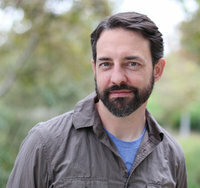 With the hundreds of hours of footage he had to work with, Eisenhardt shared that there were even several different openings, but they were all “trying to do the same thing.” He explained, “There was no particular scene that was really hard—it was trying to get the scenes to work together that was difficult. For the longest time nobody understood what he was doing, no one understood what the point was.” Eisenhardt was able to create a film that carried multiple storylines by developing various plots, such as that of Alex’s girlfriend, who represented a “removal of armor,” allowing for a deeper complexity and additional sense of purpose. 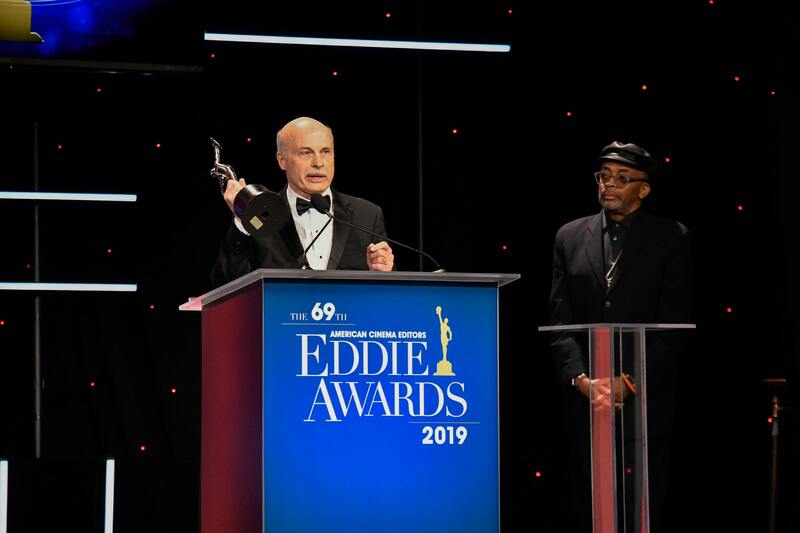 The New York Film Academy would like to thank Bob Eisenhardt for his continued contribution to the NYFA community and his ongoing inspiration to those within it. 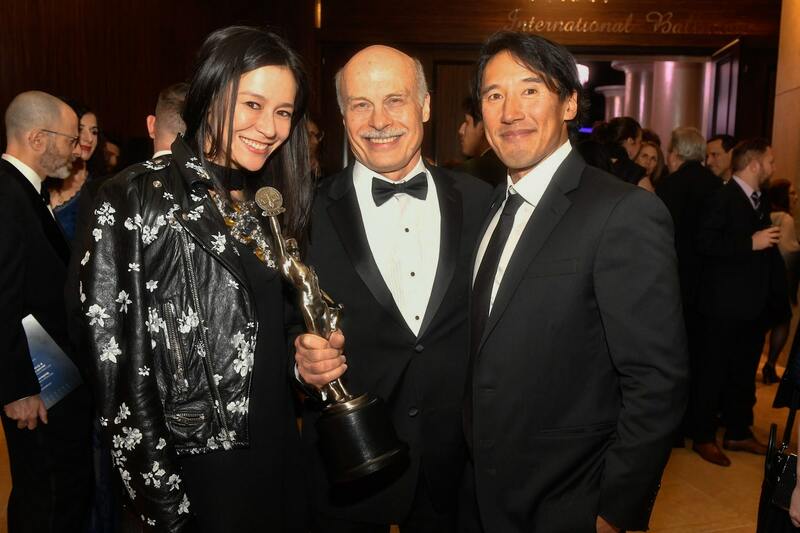 We appreciate him sharing his first-hand experience and again congratulate him on Free Solo’s Academy Award win! For New York Film Academy (NYFA) Directing for Cinematographers instructor Matt Kohnen, falling in love with movies was a gradual process. 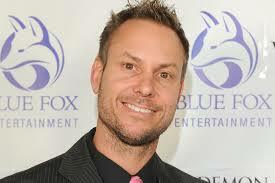 He started in theatre in high school, but eventually turned to writing and directing. 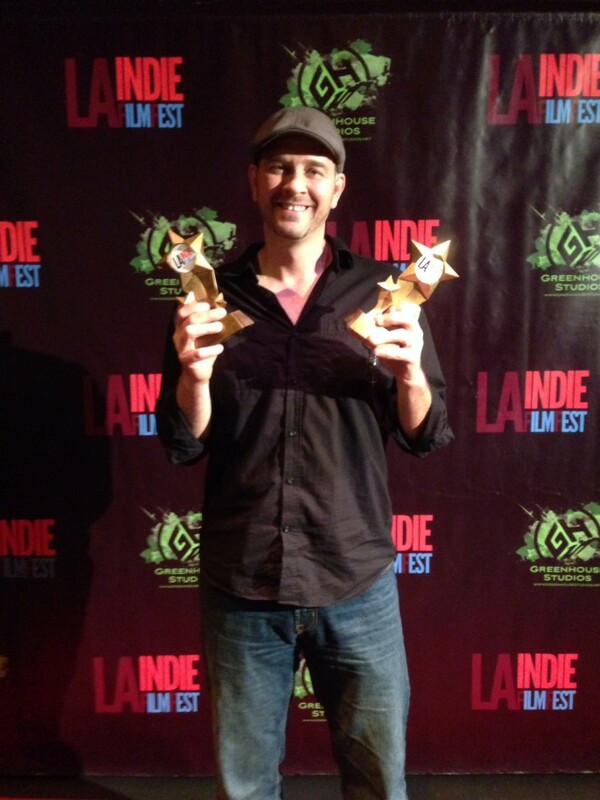 His latest feature film effort, The Funeral Guest, a dramedy about a lonely woman who crashes funerals, won Best Director and Best Actress at the LA Indie Film Festival. New York Film Academy (NYFA): What kinds of stories did you start off wanting to tell? Matt Kohnen (MK): I like stories with a touch of the fantastic to them. I’ve always been a fan of sci-fi. Not because of the escapism, but because it allows us to take our own society and its current trajectory. Sort of what Black Mirror does and what the original Blade Runner or Forbidden Planet did back in the day. I still write that stuff, but the reality of independent filmmaking is that the price point of most sci-fi is big. NYFA: Your films Aaah! Zombies!! and The Funeral Guest center on death and how such an event can bring people together. What is it about the theme of life after death that inspires you? MK: Funny, I’ve never heard my two features linked in that way. Not sure it’s the “death” issue that links them for me as much as it is the “outsider” parts. Both feature perspectives of people who are on the outside of something looking in. Aaah! Zombies!! began as a funny idea about classic horror, but became more about the characters who were dissatisfied with their current lives. 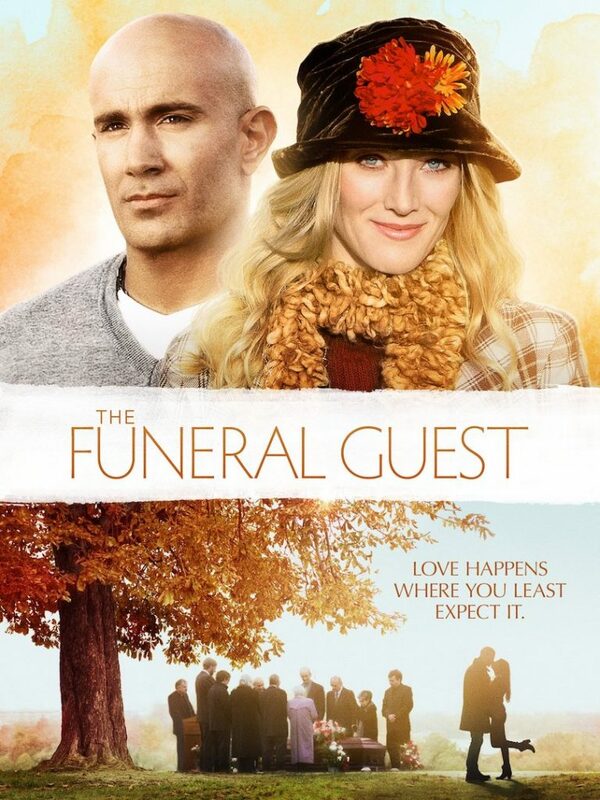 In The Funeral Guest, it’s similar. She’s on the outside of life, looking in on others because she doesn’t have one of her own. MK: I’m currently writing a couple new scripts. One of them is very low-budget, the other is trying to swing a bit larger. I’m not in a place to talk about them now, but The Funeral Guest is available on Amazon Prime, soon to be all over. MK: I love working with my students. I love seeing their eyes open and that “aha” moment that sometimes comes when they realize in class or during shooting what has been lacking in their work up to now, and they make that jump to the next level of the art. It’s extremely rewarding to be a part of that. Secondarily, I love how international we are, seeing students from such vastly different worlds interacting in a space where they share that one thing they all love. One of my favorite outcomes of this was in an early Cinematography Practicum shoot, a kid from middle-of-nowhere Montana sat next to a young woman from India. Two people who would never have met in any other iteration of the world. They wound up married. MK: Second Semester Cinematography in the MFA. It’s great, because the students have gotten a good base from semester one, and now we start introducing dolly, advanced lighting, and camera, and the ceiling of work we are able to hit raises a lot. I love seeing them rise to the challenge. 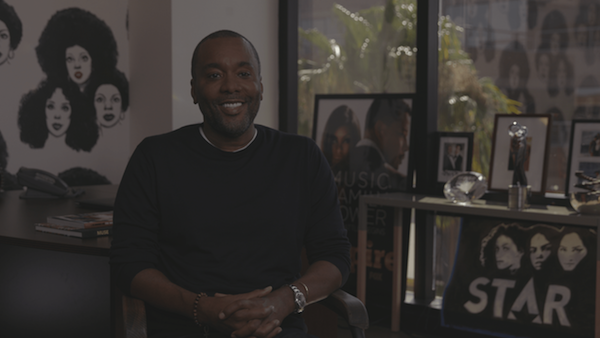 NYFA: Is there a piece of advice you give your students as they head toward graduation? MK: Keep your eyes focused on the horizon, and put one foot in front of the other, every day. Even if it’s only one step, have goals, and know that as hard as it may seem, good work will always be recognized. On Tuesday, January 15, New York Film Academy (NYFA) hosted a screening of the pilot episode of Project Blue Book, a new original series from HISTORY (formerly The History Channel) that adapts the real-life US Air Force investigations of UFOs in the 1950s. 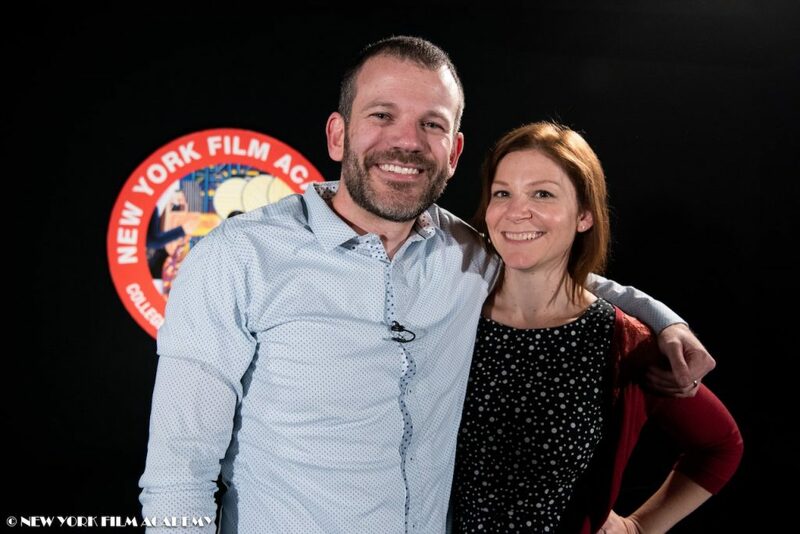 The screening was followed by a Q&A with creator and former NYFA screenwriting and producing instructor, David O’Leary, moderated by NYFA Producing instructor, Ashley Bank. 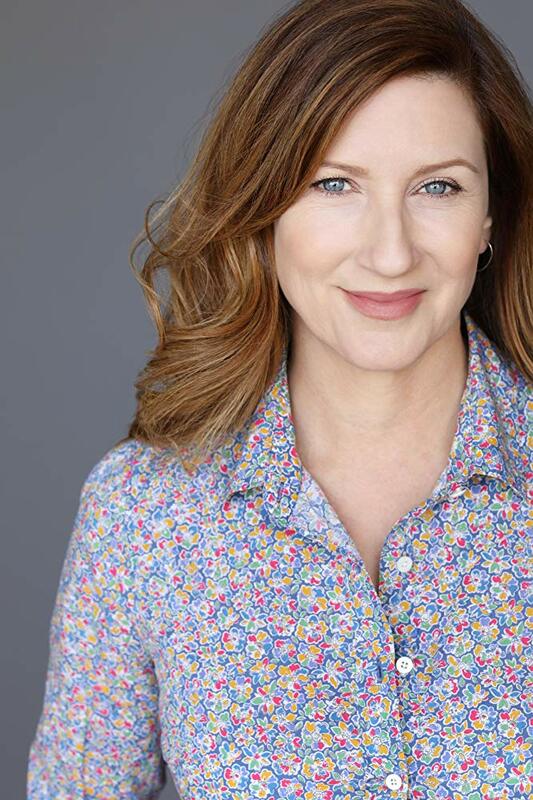 O’Leary is a former development executive who has worked for Bellevue Productions, Valhalla Entertainment, Kopelson Entertainment, Rogue Pictures, Warner Bros., and Industry Entertainment. He is also a producer on two features set for release this year, Parallel for Bron Studios and Eli for Netflix. Additionally, O’Leary is adapting a sci-fi book series for A+E Studios. Bank opened up the Q&A by asking about how O’Leary became a writer. He shared that he started his career as an intern at New Line Cinema and decided he was interested in development, so he moved to Los Angeles where he worked with a friend at Village Roadshow Pictures. From there, O’Leary worked his way up from the mailroom to assistant jobs and became a development executive, himself, at the age of 28. He realized, however, that his true dream was to be a screenwriter. “I pivoted and I’m a big believer in pivoting,” said O’Leary. 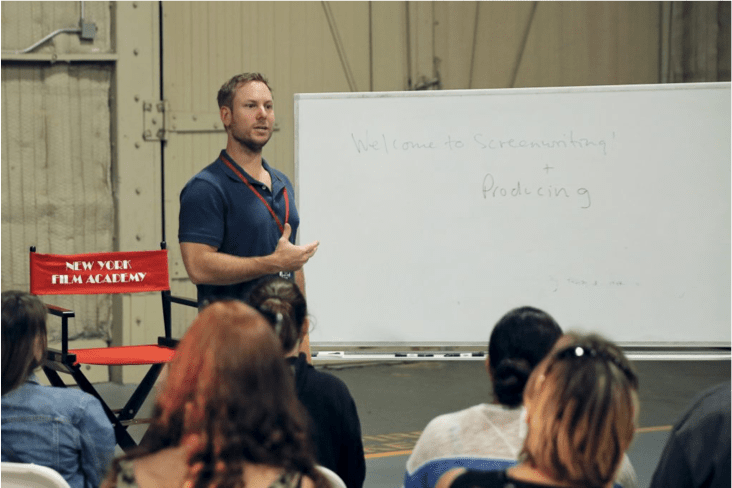 O’Leary added that working as a screenwriting instructor at NYFA required him to be extra knowledgeable about professional screenwriting. “It really forced me to practice what I was preaching,” he said. O’Leary then shared that something that helped him stay positive while he worked toward becoming a successful professional screenwriter was “celebrating small victories” because trying to be successful in the entertainment industry is a long and arduous process and one needs to have stamina to make it all the way to their end goal. O’Leary made it clear to the audience that hard work is important but sometimes luck also plays a role in success; with Project Blue Book, “It was sort of the right idea at the right time at a network that was looking to grow and move into scripted series.” The simplest way that O’Leary could sum up the show to pitch it to producers was “X-Files meets Mad Men,” which was a concept that had not really been explored before. 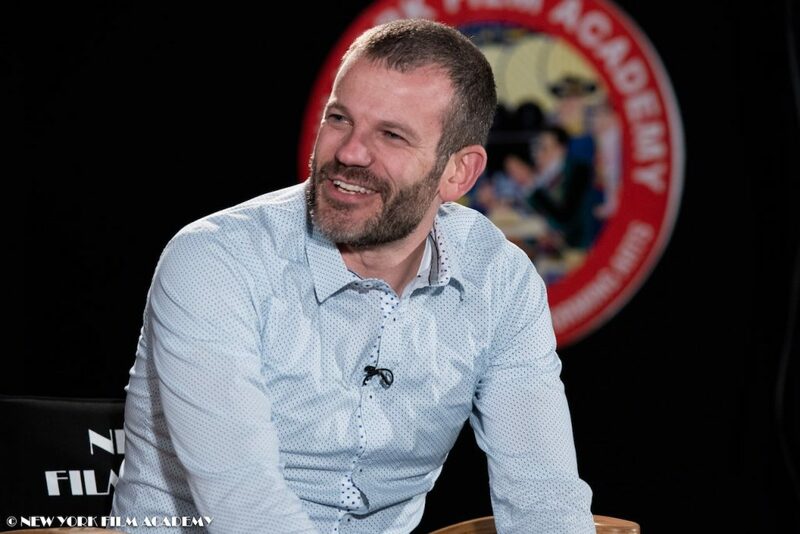 The New York Film Academy would like to thank former instructor David O’Leary for sharing his experiences and advice for writers as well as details about the development and production of Project Blue Book.